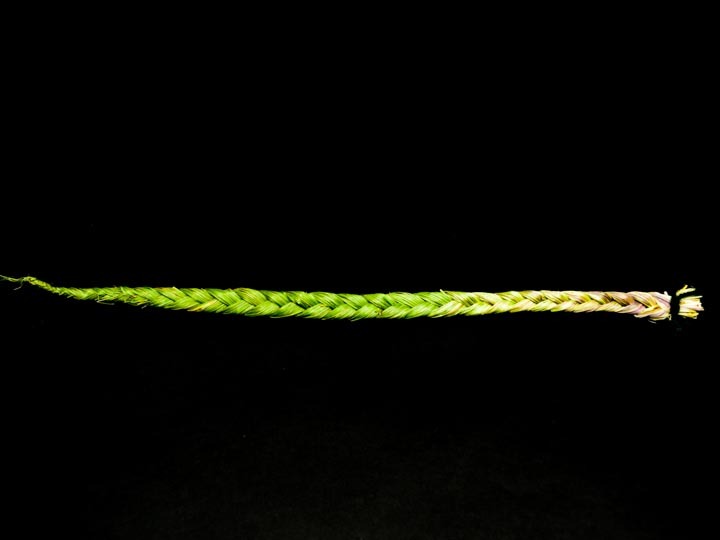 These sweetgrass braids average around 24" to 34" long (60 to 87 cm) and come from the Canadian prairies. 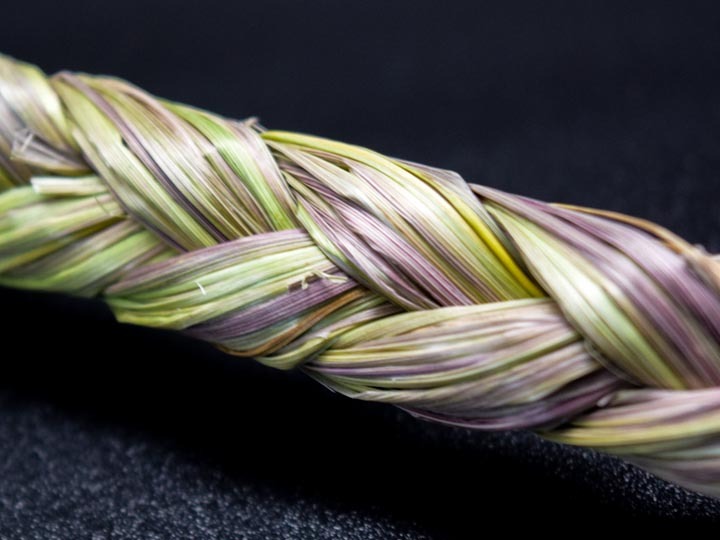 The sweetgrass is picked and braided by the Ojibwa. 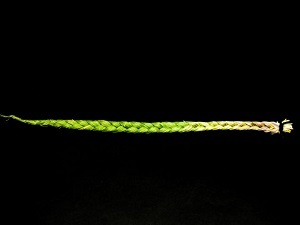 Since they are handmade, the thickness will vary from braid to braid. Along with sage, sweetgrass is a sacred herb commonly used in smudging ceremonies. Genus and species: Hierochloe odorata.